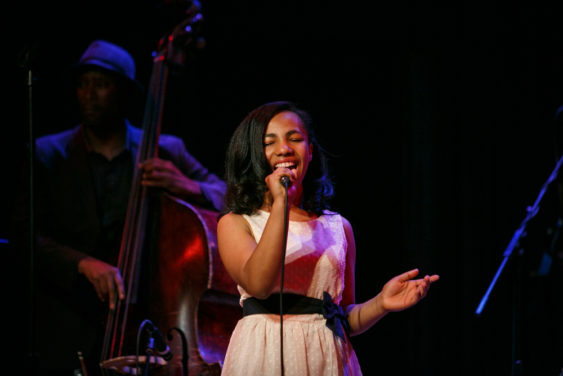 Jazz Search West 2019, the Bay Area’s Jazz talent search for adults and teens 15 and up, will offer four competitions, a Semi-Final and Grand Finale at Jazz venues in San Francisco and Oakland during March and April. Come experience Jazz Search West 2019 during which 16 contestants will perform each evening with a professional rhythm section and will receive valuable feedback from a panel of prestigious judges. Three finalists will be chosen at the end of each evening with the help of your audience vote. > Get Your Tix – All competitions are held in East Bay jazz venues and are open to the public for only a $10 entry fee for each event. Jazz Search West typically sells out all competitions and they have had to unfortunately turn people away. They encourage folks to purchase their tickets in advance online to guarantee your seat. Want to compete? Sign up now to reserve your performance slot! Three top winners will be ultimately chosen and will win valuable prizes designed to enhance their musical careers. Jazz Search is an incredible opportunity to gain exposure and visibility, and to move to the next level. The entry fee for contestants is $45.